Whoever came up with the phrase “Tacoma Aroma” probably wouldn't have predicted that the Washington town famous for unleashing a stinky, sulphur-like smell on all of its inhabitants would one day have some of the highest rents in the nation. In 2017, nearly three decades after New Jersey’s Bruce Springsteen publicly complained that the smell of Tacoma made him sick, Tacoma was found by Trulia to have the highest rent appreciation in the entire nation, or a median rent that rose from $1,650 a month in 2016 to $1795 a month last year. The reason? A booming tech sector 32 miles away in Seattle, Washington and a massive uptick in rents there to go with it. Tacoma looked relatively affordable by comparison. (It probably doesn't hurt that Tacoma’s leaders and polluting businesses also worked to eliminate the smell over the past few decades). In Seattle, rents have risen nearly 40 percent over the past five years, driven largely by the presence of major employers like Amazon and Microsoft, sending rents and homeless rates in the city and in neighboring towns soaring. To those on the Seattle City Council, Amazon’s record-breaking profits, Jeff Bezos’ enormous net worth, and the area’s unprecedented affordable housing shortage and homeless crisis presented an obvious solution: tax big businesses like Amazon to pay for homeless services. The Seattle City Council voted unanimously last month to implement a $275-per-employee tax on Seattle companies that earn $20 million or more in profits. City leaders enthusiastically said that the tax would raise $47 million in revenue. But now the measure appears destined to fail. After intensive lobbying from the business community, Seattle Mayor Jenny Durkan and seven of Seattle's nine City Council members announced on Monday that they plan to pass a new law to repeal the tax. Their about-face comes after Amazon and Starbucks led a $200,000 signature-gathering referendum campaign to get the law overturned. Amazon also suspended plans to expand its campus, a project that was expected to add 7,000 new jobs to the city, as Seattle began debating homeless tax proposals earlier this year. The new announcement on Monday marks a significant departure from mid-May, when all nine of Seattle’s City Council had voted to support the tax. “It is clear that the ordinance will lead to a prolonged, expensive political fight over the next five months that will do nothing to tackle our urgent housing and homelessness crisis,” Seattle’s mayor and the majority of City Council members announced in a public statement. The lobbying campaign and tax fight comes as cities across the continent are offering Amazon tax breaks and other incentives as part of a competition to be the new headquarters of HQ2, the second Amazon campus. Though Seattle faces a severe affordable housing shortage, with home price growth more than double that of nearly every other American city, about half of the city’s residents still earn less than $50,000 annually, according to IRS filings. Meanwhile, Seattle’s homeless population increased 44 percent in the past two years, and the town and surrounding county have the nation’s third-largest concentration of people sleeping on the streets, according to a count done in 2017. 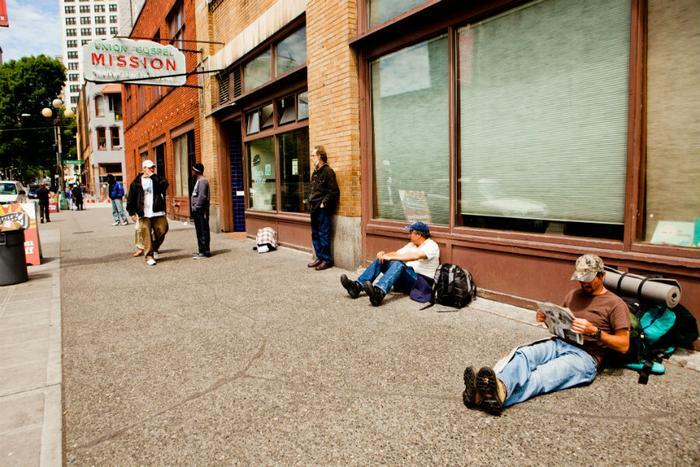 In the past, Amazon has agreed to use its resources to open a temporary homeless shelter. When asked by shareholders about the company’s otherwise lack of participation in philanthropy, Bezos responded that "our core business activities are probably the most important thing we do to contribute, as well as our employment in the area."